Set in the South Malé Atoll just half an hour from Malé International Airport, Anantara Veli brings you the island paradise of your dreams – a destination created for thrilling honeymoons and romantic getaways. 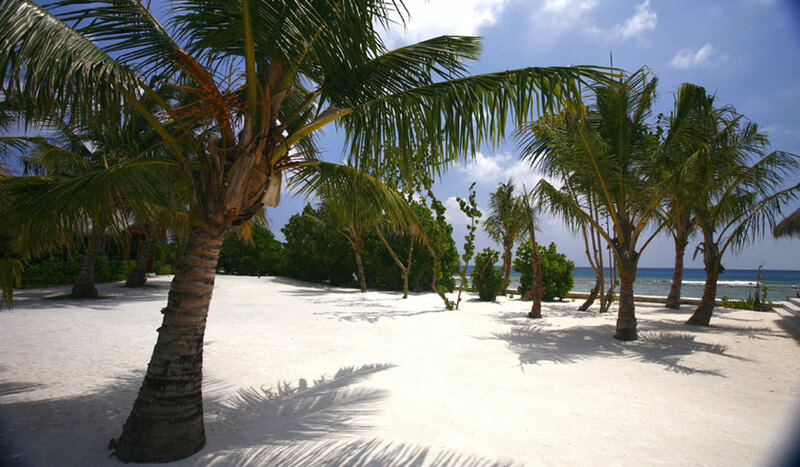 Unwind on endless white sand beaches, palm-fringed islands and pristine coral reefs. Contemplate the oceanic light as it evolves from morning glow to evening dusk – bathing the coconut thatched roofs in subtly-changing hues, and glittering off the clear waters just beneath your private over water bungalow. Nestled in beauty, removed from unnecessary distraction, here in the Maldives you are free to tune inwards as well as to indulge in the company of your loved ones. 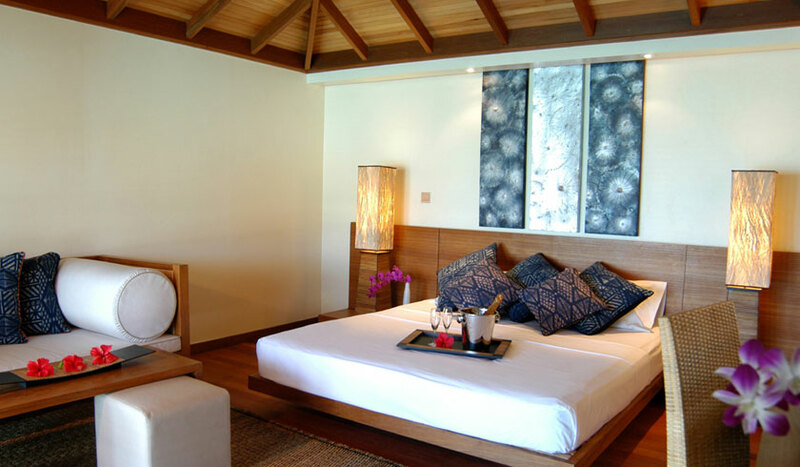 Luxuriate in the contemporary décor of your spacious 62-square metre over water bungalow on a pristine stretch of tropical paradise in the Maldives, with hardwood floors and a coconut thatch roof. Indigenous fabrics stretch across your bed, inviting you to do the same. Tropical flowers and jasmine scents float through your elegant bathroom. Take to the private sun terrace to admire your over water bungalow’s coral garden, or step into the gentle waters of the lagoon. 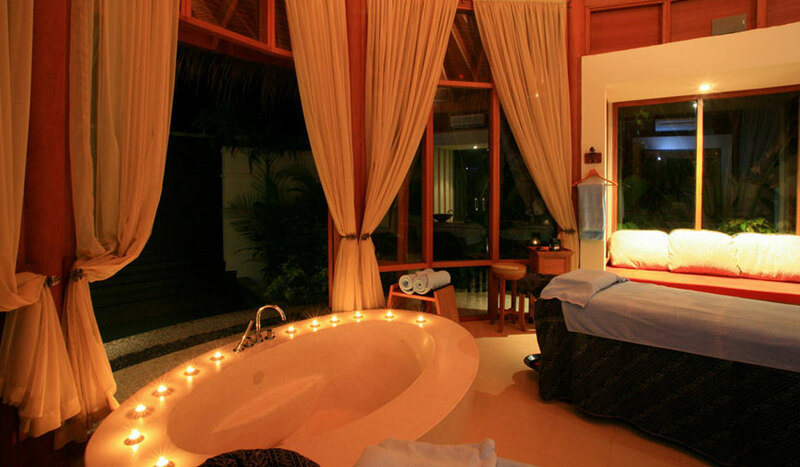 Step into 92 square meters of relaxation under the charming coconut thatch roof. 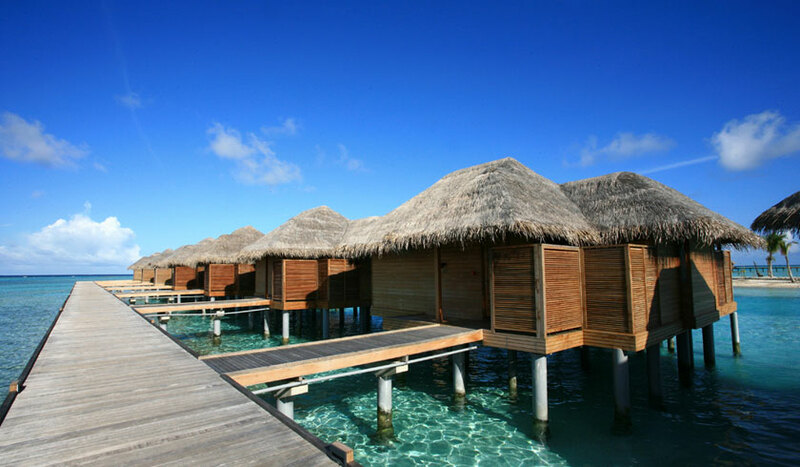 Your Deluxe Over Water Bungalow is a private sanctuary overlooking the vast seascapes. Settle into a luxurious terrazzo bathtub for two by the lagoon. 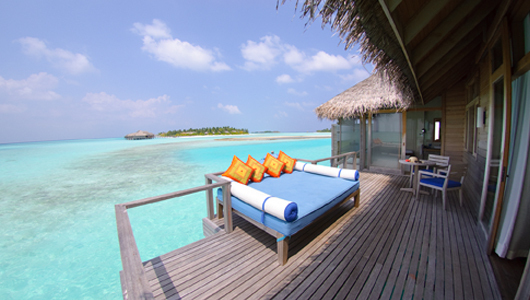 Unwind on a daybed or lounger on the sundeck or relaxation area. There is no place more idyllic than this spot of Maldives paradise to enjoy leisurely quality time with your loved ones in your private over water bungalow. 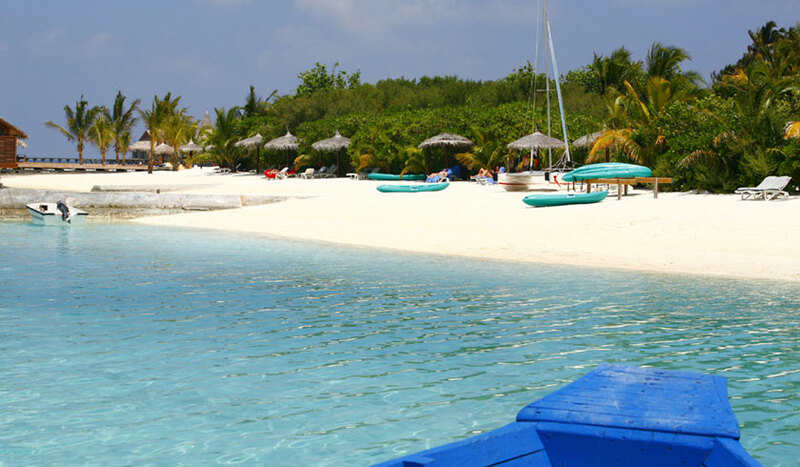 Kick back by the tranquil Veli lagoon. Swim up to the poolside bar and savour cocktails and chill vibes. 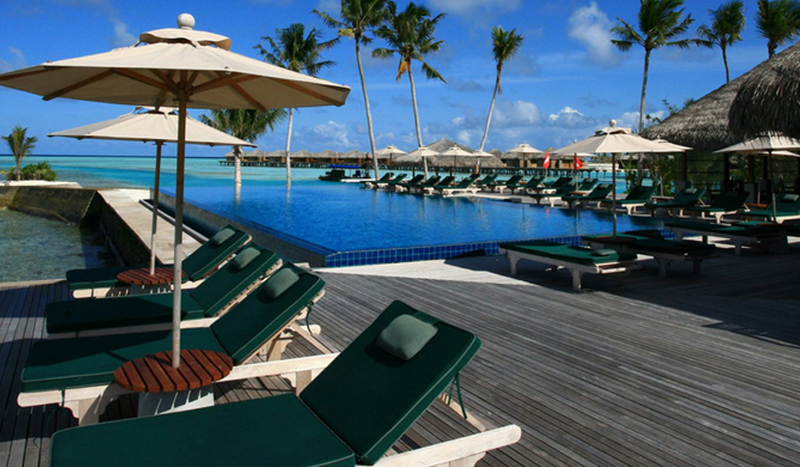 Settle into the infinity-edge pool and take in the seascape as you unwind with other guests. Enjoy freshly-baked crusts and piled high toppings from our wood-fired oven. You’ve found your perfect spot for inventive pizza and light snacks overlooking the lagoon at Veli Island. Dine al fresco on the deck or in the thatched roof pavilion. Sit back or try a game of pool, steps away from the free-standing bar. This could become your favourite hangout. 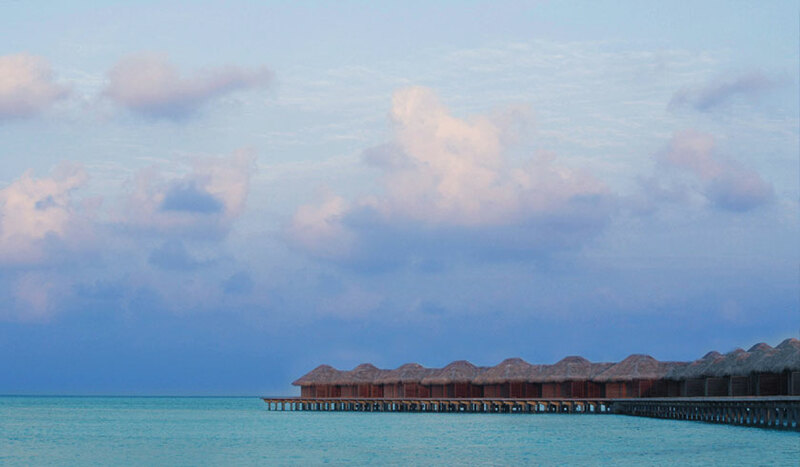 The light and airy Maldivian-style thatched-roof pavilion faces the Veli lagoon. Dine on the sumptuous breakfast buffet of fresh tropical fruits and juices, cereals, homemade breads, grilled meats and vegetables and a made-to-order omelette station. Or select seafood plucked right from the Maldives at the Seafood Market, available nightly for dinner. The setting is tranquil, but recreation and fun are always close by. Every day, Anantara features a range of organised and do-it-yourself activities in the gorgeous surrounds of our resort. Days at Anantara can be as laid-back and relaxed or as action-packed as you desire. Choose your own adventure! Gain physical poise and mental peace through ancient exercises drawn from centuries of traditional South Asian wisdom. Yoga for beginners is available from our professional instructors beachside while more seasoned aficionados can take it up a notch with a private session – one of our signature Maldives resort activities. You may be thousands of miles away from it all, but our boutique on Dhigu brings the world to you, with the bare necessities and exotic goods and handicrafts from across Asia and the Indian Subcontinent. While staying at Anantara in the Maldives, you will be treated to an array of inspired culinary creations. Why not learn the tricks of the trade with a cooking class from our resident master chefs? Learn to recreate traditional Maldivian or Thai and fusion dishes to impress your friends back home. Open for children from the ages of 3 to 12, the Dhoni Kids Club keeps our youngest guests entertained during their holidays with an action-packed programme featuring a variety of beach and outdoor activities, creative crafts and games that are fun, educational and culturally enriching. All are under the supervision of our Kids’ Coordinator. Children aged three or under are welcome when accompanied by an adult. Childcare services are available for a fee. The fitness centre and gym is equipped with everything you expect to keep you looking and feeling good. Rejuvenate your body as you work out alone or with your personal trainer. No need for sunblock in our stylish showpiece library, where you can sink into a plush armchair and enjoy a new novel or catch up on all that is going on back in the ‘real world’ on our computers with high-speed Internet. Clear your mind and achieve a sense of heightened wellbeing with gentle stretching and meditation to start off your day. At our guided meditation sessions on the beach, you’ll catch the island as it awakens. Draw inspiration from the gorgeous island surrounds. Slide into the tranquil waters of our stunning freshwater infinity-edge pool situated right on the beach’s edge. Gaze out across the expanse of an aquamarine sea as you float, soak or splash your worries away. Protected by outer reefs, the shallow waters of our large lagoon offers an ideal spot for wading, floating or a relaxed swim. Our floodlit tennis courts allow you to continue with a doubles match even after the sun sets. Our fitness centre staff are at hand to provide lessons for beginners or a little bit of a challenge if you’re looking for a partner.